How good are you at converting free trials into paid users? If you’re like most companies, probably not as good as you’d like. According to a recent study, companies end up converting between 1–10% and 40–50% of their free users. Even when you knock it out of the park, you’re leaving a lot of potential revenue on the table. To illustrate: Let’s say you crush it and achieve a 50% conversion rate out of 5,000 free trials this month. Your average sale is $40, which means that even in the most favorable scenario, you’re leaving $100,000 on the table. Few companies, and fewer startups in particular, can afford to forego on that kind of cash. At Dollar Flight Club, we help travelers explore the world’s most alluring destinations on a budget. Over the last two years, we’ve tested and tinkered with countless pricing structures. In late 2017, we dialed into the free trial model. Just six months later, we’ve optimized and experimented our way to a 76.5% trial-to-paid-user conversion rate. Maybe we got a bit lucky. We know it’s not feasible for every company to convert that many trials. But, to continue our example above, even a 10% increase in conversions can increase revenue by $20,000. Who couldn’t use that kind of cash? So how exactly were we able to convert more than three out of every four free users into paid subscribers? We used nine different tactics that were implemented quickly and had a compounding effect week over week. If you’re looking to increase your conversions, you can do the same. First things first: Your product needs to add value to your users’ lives. Otherwise, what’s the point? We priced our service at $40/year, and the average user saves more than $500/flight. Book a single flight and save more than 10x. Value delivered. The key is creating an extremely compelling offer. Make the potential customer feel “stupid” for not trying your service. You need volume if you want an increased conversion rate to translate into real money. 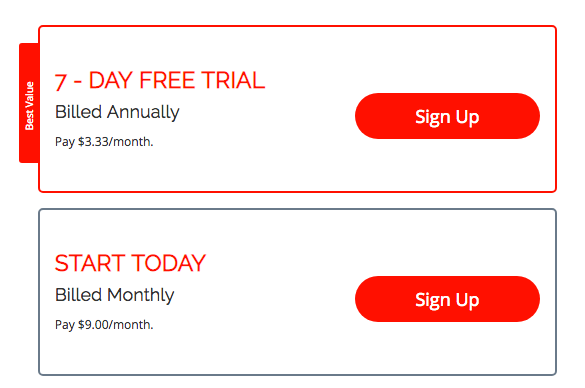 To increase trial signups, we used Instapage to A/B test landing pages (it’s cheap and easy to set up). We also hired a part-time designer to make things look more professional. If you’re looking for a very cheap option, check out Fiverr or Upwork. 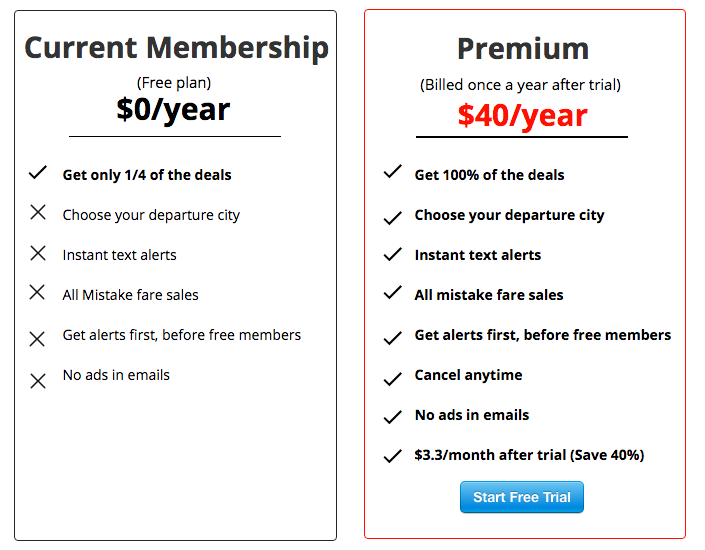 Ultimately, we decided to show people the difference between Free and Premium memberships. They could easily see what value they were getting by upgrading. This was one of the most influential decisions we made. People won’t understand the value unless they see it in right in front of them. Initially, our pricing page was a bit overwhelming. We offered monthly, quarterly and yearly pricing options which cluttered our page. Ultimately, we dialed it down to two simple options: a seven-day free trial that moves into a $40/year subscription and a $9/month option to start today. The goal was to make it super obvious that signing up for the seven-day free trial was the best option. And it worked. Our main value prop for going Premium is that you get every deal we offer and you get to choose your specific departure airport (free members get some deals but they can’t always choose airports). We reminded free members what they were missing as often as we could by adding a bunch of hooks throughout our site. Hook 1: Right up front, we told them a deal they missed out on recently: a $296 roundtrip flight to Barcelona. 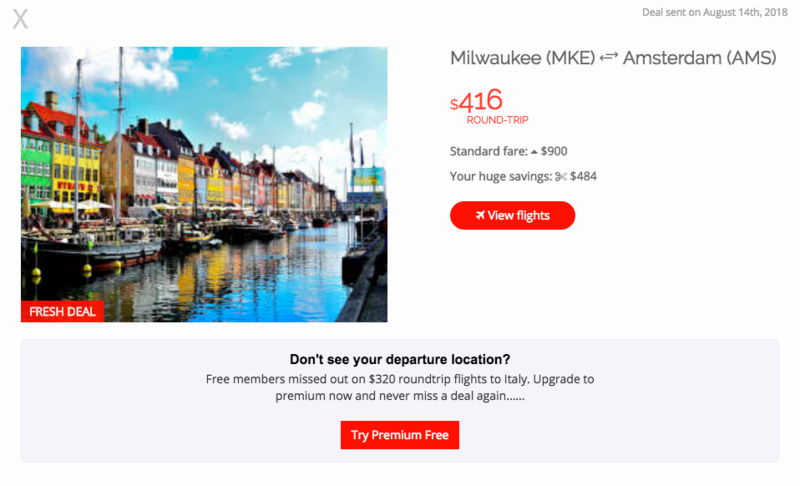 Hook 2: When a free member views a deal within the app, they see messaging that indicates they need to try premium to get deals from a specific airport rather than a region. It’s time to ditch that Excel spreadsheet you’ve been using to track customer metrics manually. We started using Baremetrics Trial Insights for analytics. It provides a wealth of vital data about what customers in your trials are doing, how they’re converting and which trials are almost over so you know who to target. Having this information at your disposal is critical to increasing your conversion rate. One of the most valuable things you can do is learn about your audience. It doesn’t have to take a ton of effort, either. Simply create a Google Form or Typeform for free, spend 20 minutes populating a survey and send it off to your users. To get people to fill it out, consider incentivizing your audience with a gift card (e.g., $100 to Amazon) or something similar. How long have you been part of the Dollar Flight Club community? Have you heard about our Premium membership? Why have you not given Premium a try? How likely are you to try Premium in the near future? Would you pay more or less for Premium? What feature do you think would be most useful to you? What can we do to convince you to try Premium? Many of our users didn’t know our Premium offering existed. We simply made that messaging more prominent and trial signups increased. Most users didn’t want to start a free trial because they weren’t planning to travel in the near term. Our flight deals, however, can work for anyone looking to travel over the next 12 months. We put that messaging up front and signups increased. 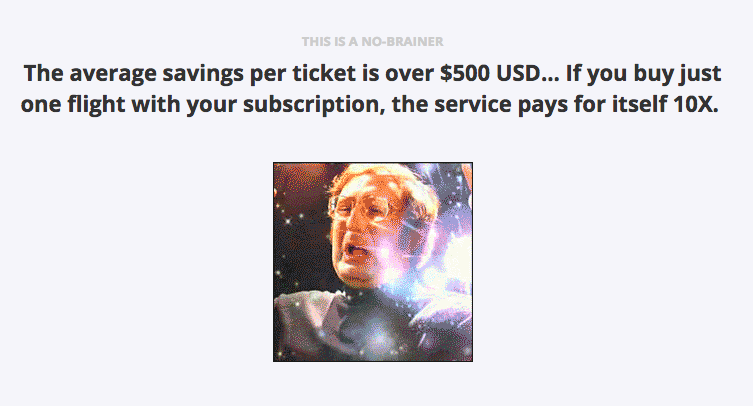 Our users were cool with paying $40/year for our service. We knew with certainty that our pricing wasn’t scaring anyone away and we didn’t have to adjust it. If you want to increase your conversion rate, you need to take the time to nurture your users. You need to keep them engaged during the trial period, learn more about them as they move across each step of the customer journey and get them to see the value in what you’re providing. Welcome emails. When someone signs up, we thank them and tell them to log in to their accounts and update their departure cities. We want them to take action right off the bat. Successful customer stories. Next, we send them stories that demonstrate real value. We show trial users exactly how we’ve helped real people while encouraging them to contact our support team if they need any help. Premium explainer. We tell our new users how Premium subscriptions work and ask them about their dream destinations. The goal, here, is to get them to log back into their account and browse the site. Cheap flight inspiration. To keep new users engaged, we then send valuable and helpful content to get them thinking about traveling on a budget. Social media invitation. Finally, we invite our users to follow us on social media and join our “private” Facebook group. To make sure our trial users knew how to interact with our platform and understood how things worked, we installed Intercom and utilized their in-app messaging capabilities. We found that people had been canceling their trials because they didn’t set up their accounts properly. Simply adding this message had a huge impact on our conversion rate. We also used a free service call Hotjar to see where people were getting confused within the app and made appropriate adjustments. We made some critical hiring decisions early on, building a strong team that could deliver more value to our users. As a result, we were able to find even better flight deals—and a lot more of them. Increasing your conversion rate may sound like a daunting task, but it doesn’t need to be. Follow these tactics and watch your subscriber base grow. Good luck and happy travels! Jesse Neugarten is the Founder at Dollar Flight Club, where he helps half a million people find cheap international airfare. Over the years, he's accrued hundreds of thousands of airline miles traveling the world and building a completely remote team from the ground up. If you ever need help finding cheap flights or chatting about growth, he's your guy!